I write to bring to you attention the utter incompetence of the leadership of Leutnant Viktor Teichmann, currently the commander of Jasta 8. This man is a fool! 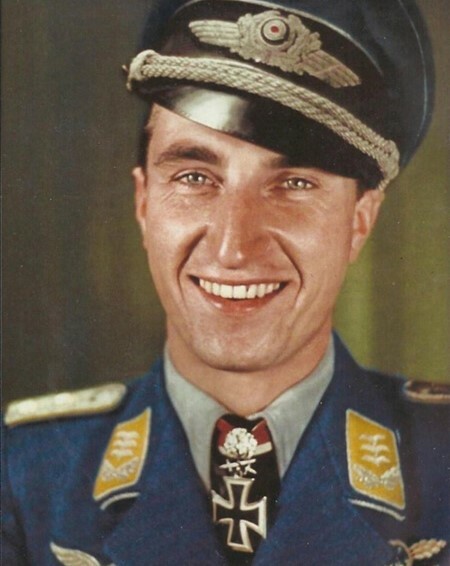 While he has some talent as a flieger (he has brought down three enemy machines), he ought not to be commanding, either on the ground or in the air. Earlier today we went off, a flight of three of our Albatros DIIs, to destroy an English balloon. These missions are dangerous enough, without leaders making them even more difficult and dangerous. As we approached the front, a flight of three Vickers machines appeared to our right, and slightly below our altitude. I thought that we would break off our approach toward the balloon and engage the Vickers, since we had altitude at the time, but would not on our return. We were leaving them behind us, at altitude, in a position blocking our return. But our idiot commander ignored them and signaled for us to fly on, which we did. As we did, three Triplanes appeared, again below, and this time to our left. Once again, Leutnant Teichmann signaled for us to ignore them and begin our dives on the balloon, which we did. We dove on the balloon, which was soon in flames. But no sooner had the airbag been set afire, than we were attacked by the triplanes. We did our best to work our way east, but as we did the three Vickers dove on us and joined the fray. At that point, I dove for the ground and tried to loose a pair of triplanes on my tail by flying right off the ground, sideslipping between trees and buidlings, as best I could, to throw off the Lord's aim. In this I was successful, although I returned with serious damage to my machine. Leutnant Teichmann's machine made it back, but had to be written off. Feldwebel Ostermann failed to return, and is assumed to be dead or a prisoner. I consider flying with this incompetent a condemnation of death. Consider this letter a request for transfer to another Jasta, preferably 11, commanded by my comrade Leutnant von Richthofen. Last edited by Nowi; 09/12/18 03:40 AM. We need you where you are as an inspiration to others.